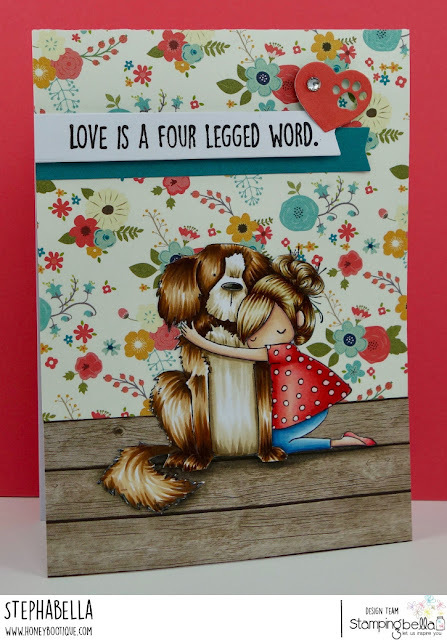 Honey Bootique: Stamping Bella- Tiny Townie Dawn Loves Her Dog! 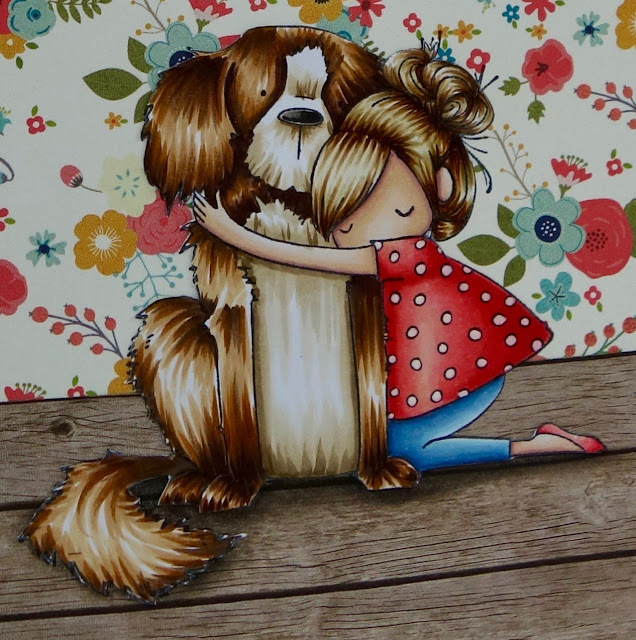 Stamping Bella- Tiny Townie Dawn Loves Her Dog! I coloured them with copics and then fussy cut leaving no white space as I knew I wanted to place them in a scene. I did some shading with Lyra pencil on the floorboards to indicate where they're sitting. I then stamped the sentiment onto a banner and cut another one out and layered them up. Finally finished with a cute die cut paw/heart and added a hot fix crystal. Your close up! This seriously is such a great image to colour- great for practising hair and fur! Be back later in the week with some more Stamping Bella! Yay!